1. The “Club Captain” is the Poverty Bay Blues representative in charge of the club night / jam programme. 2. All performers must register with the Club Captain on arrival and provide details of the music they will play and who they wish to play with, if anyone. The Club Captain will then allocate a space within the evenings programme. 3. WE ARE A BLUES CLUB, so for the enjoyment of our members, PLEASE PLAY BLUES MUSIC ONLY!! The Club Captain will advise as to suitability if there is any doubt. 5. Change over time between sets should be as swift as possible. 6. The Club Captain or any allocated representative maintains the right to control volume levels, so please don’t be offended if you are asked to turn down the volume. 7. All musicians are asked to take care of Poverty Bay Blues equipment and equipment belonging to other musicians, and pay for any damage that occurs whilst being used by them. 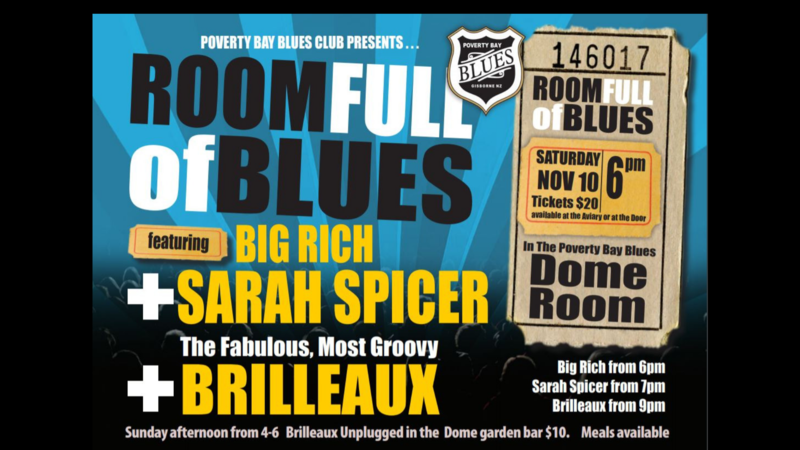 Hi, Can i share Jam Rules | Welcome to Poverty Bay Blues Inc on my facebook? Hello. For the Blues bar I would like to register an act please. I am a one person group. I play electric guitar and sing. I would welcome other musicians to play along. My three songs are; Cheryl Crow, (or Mamas and the papas) Joe Cocker, and Tina Turner. Hey there Richard – sorry for delay mate – been enjoying a lovely Gizzie summer break so only back to web site stuff now. Sure feel free to come along to Feb 3rd Gig or March the 3rd. Typically deal is arrive on the night, between 7.30 & 8.00 and get your name up on the board, it pays to be early as sometimes the board will get full up before 8.30. For people that we haven’t seen before, we like to them play early in the piece. Cheers for that, and we look forward to seeing you!